The world of social media has changed drastically in the past few years. In spite of the fact that social media platforms are not really all that old, the changes they have been experiencing have been tough for a lot of companies to keep up with. Twitter is an example of a relic from a forgotten time where text was all that mattered on social media. As the platforms evolved, more emphasis was placed on visual communication which lead to the rise of Instagram and Snapchat as well as Facebook’s renewed focus on videos and images. 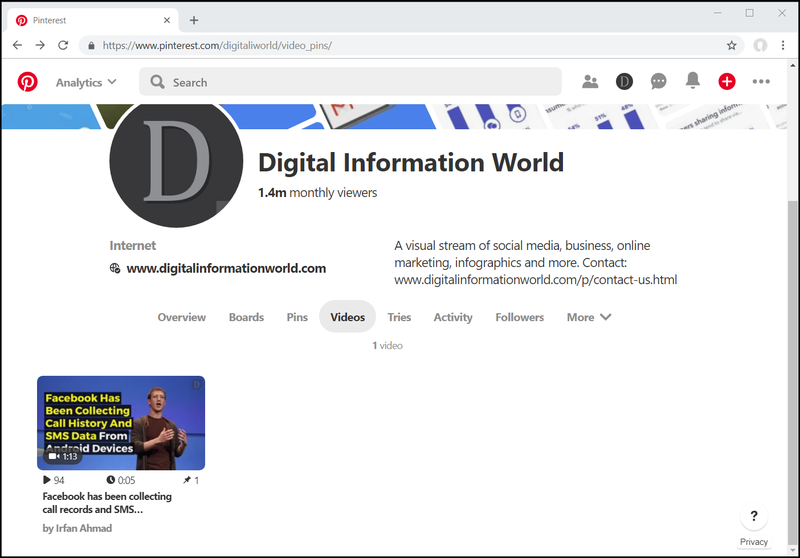 Pinterest has always been a visually prominent platform, but it seems like they are taking this visual element to a whole new level by incorporating video into the mix as well in a video tab that is separate from all other tabs. This information is based on glimpses certain users have seen on the Android version of the tab which seem to indicate that Pinterest is currently testing the feature out before fully implementing it. It’s fair to say that it’s not yet confirmed whether Pinterest will be rolling this feature out to all users any time soon because of the fact that such companies take their time testing features out before they launch in order to avoid problems with usability and accessibility. It is understandable that Pinterest is interested in video based communication. Instagram used to be a platform dedicated to the sharing of pictures, but competition from Instagram, Snapchat and TikTok forced it to evolve so that it would remain viable. Videos are now a big part of the general social media experience, and since Pinterest has always seemed like an underdog among social media monoliths, adding video seems like the right next step to take. This post was originally published on 20th March 2019.